Not only does Alaska seem like one of the last places on earth anyone would want to go (at least to people who only see the cold and snow on television) it’s about the least sports betting friendly state in existence. 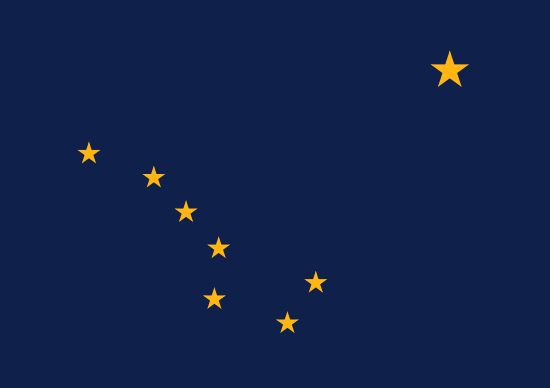 It’s not that the sports betting laws are worse in Alaska than in most states. The fact is the state doesn’t have any professional sports teams and only two colleges. Neither college competes at the Division I level in anything except hockey, so there’s nothing in the state to bet on. The most popular professional sport in the state is the National Hockey League. There are no NHL teams in Alaska, but hockey is a popular sport in the Land of the Midnight Sun, so the two are a nice match. Another issue with sports betting in Alaska is unless you’re a professional sports bettor, the industry revolves around socialization. Picture the fans at the bar boasting about their team and then placing bets with fans of another team, each supporting his favorite team. Sports fans like to talk about their teams and brag about big wins. Most common sports bettors share the same traits. They like to brag when they make winning sports bets and talk about their bets with friends and other sports bettors. Alaska doesn’t have tons of people so there aren’t as many socialization opportunities in the state as in others. I have no doubt that Alaska has people who like to bet on sports just like every other state in the nation. So they must be able to find places to make bets. You won’t find any legal sports books in the state and local bookies also operate illegally. What do you do if you live in Alaska and want to place a bet on a sporting event? You have two choices and each have a cloudy legal standing, at best. The first choice is finding a bookie close to where you live. This may be challenging. In most states you can find bookies in almost any community with at least a few thousand people. Plenty of people live in Alaska where no communities of that size exist. You’re other choice is finding an online sports book where you can place sports bets. This creates a legal situation that ranges from perfectly legal all the way to 100% illegal depending on who you ask. I’m not aware of anyone in the state of Alaska being arrested or charged with placing bets online. The same is true for placing bets with a bookie. Gambling is something that’s widely ignored by law enforcement in most states unless someone complains. I imagine life in Alaska offers enough challenges with the climate, wildlife, and otherwise harder living than most of us are used to, which gives law enforcement plenty to consider that’s more important than running down gamblers. However, just because someone hasn’t been arrested doesn’t mean it’s legal. You can find hundreds of online sports books, but if you decide to go this route you need to pick one that provides a safe experience. Here are a few tips for researching the available sports books. • See how long the sports book has been in business. The age of a business isn’t the most important thing to consider but as a general rule the longer a sports book has been operating the better. • Is the sports book backed by a public company or other large land based business? • Do they offer deposit and withdrawal methods you have access to? • Are they licensed in a jurisdiction you trust? • Do they have a solid track record of paying winners in a timely manner? This isn’t always easy to find, but you can ask other sports bettors you know for recommendations. One of the best things about placing bets with online sports books is the ability to shop for the best point spreads, so when you do your research don’t hesitate to find more than one book that offers a safe experience. Most online sports books also offer a bonus when you make your first deposit. Some of them offer a free wager while others will match a percentage of your total deposit. For example, you might get 50% up to $500. So if you deposit $100 you get an extra $50 or if you deposit $1,000 you get an extra $500. Whenever you receive a deposit bonus you have to fulfill certain requirements in order to clear it. You may have to place wagers on a certain number of contests or wager a certain total amount before you’re allowed to make any withdrawals. Make sure you read all of the terms and conditions before depositing so you clearly understand the requirements. You don’t want to make a deposit, have a nice winning streak and find out you can’t take your money out yet. I’ve never visited Alaska but I’ve read it offers beautiful scenery and plenty of pleasant weather. But like most people who haven’t visited the state the first thing I think of when I hear Alaska is cold and snow and barren land.